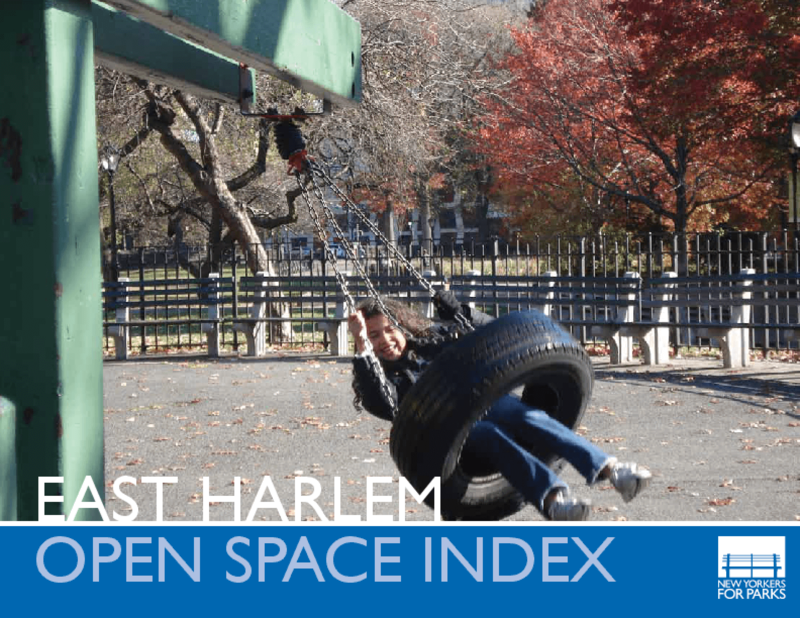 The Open Space Index (OSI) is a set of 15 New York City-specific open space and sustainability benchmarks that were developed by NY4P in 2010. The East Harlem OSI report is based on hundreds of hours of on-the-ground surveying and data analysis, including a field survey of more than 250 blocks of East Harlem. Surveyors assessed 15 categories of open space resources, including the amount of active and passive open space, walking distances to parks, permeable ground surfacing, and number of features such as recreational facilities and fields. Copyright 2012 New Yorkers for Parks.